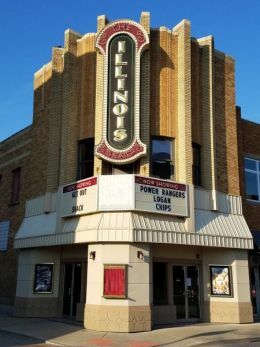 LOVE THE ILLINOIS THEATER! Best Popcorn in the area hands down!! The staff is excellent and very nice! The movies are great and it's always a great experience! Can't wait to go see American Assassin! I am handicapped and need to know which movies are playing on the main floor as I cannot handle steps. Is there a way to indicate which movies are in the upper theaters and which ones are shown on the main floor? I love going to this theater. They have current movies and it's a great experience.